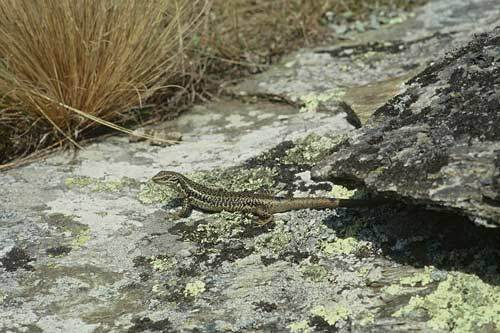 The grand skink (Oligosoma grande) is found only in Otago, where it is widespread but rare. It lives around rocky outcrops in tussocklands. Active and agile by day, it scuttles under rocks or into crevices if alarmed. Individuals grow up to 10.9 centimetres long from the snout to the base of the tail, and weigh up to 29 grams.